Inclusions are the unique identifying characteristics that are helpful in recognizing your diamond. While some people may consider them as flaws, we definitely do not think of them that way. We believe it’s more accurate to think of them as Mother Nature’s artwork trapped inside a time capsule from billions of years ago. Inclusions were formed long ago and aren’t something that will appear or disappear in your diamond. In many ways, they’re like fingerprints. 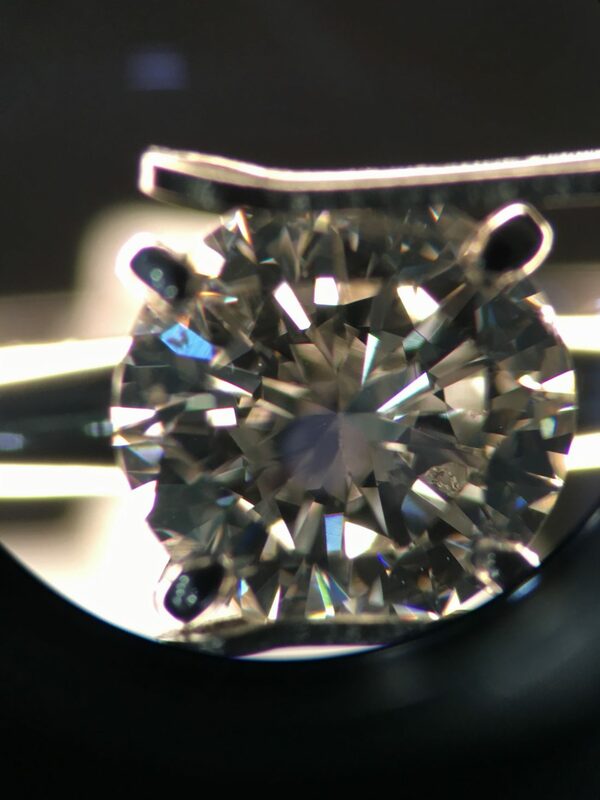 Not only are they helpful in identifying your diamond – they are helpful in determining a natural diamond from a synthetic. Once you know your inclusions, you’ll always know your diamond with the help of a loupe. Some people confuse inclusions with blemishes. The simplest way to remember the difference is that blemishes are external and inclusions are internal. While inclusions formed millions or billions of years ago, blemishes form during the cutting, mounting, or wearing of a diamond in the form of nicks, scratches, chips, and abrasions. Before we discuss how inclusions are formed, let me introduce you to a rock star in the world of inclusions. Imagine if you will, a magnificently cut 2.00 carat round brilliant diamond with a red heart-shaped inclusion breaking through the surface. While it isn’t visible to the naked eye, it can be seen with magnification. As unique as this heart-shaped inclusion is, it’s also similar to less dramatic inclusions in that while they can’t be seen with the naked eye, they definitely impact how you see a diamond. Diamond clarity is based on five factors: size, number, position, nature, and relief of inclusions. The type, location, and size of an inclusion factor into the clarity grade. The very same type and size of inclusion can impact the clarity grade quite differently depending on if it’s located in the table or the girdle. The nature of the inclusion can also impact the structure of the diamond. We will only find you diamonds that are structurally stable. And finally, the relief has to do with color. 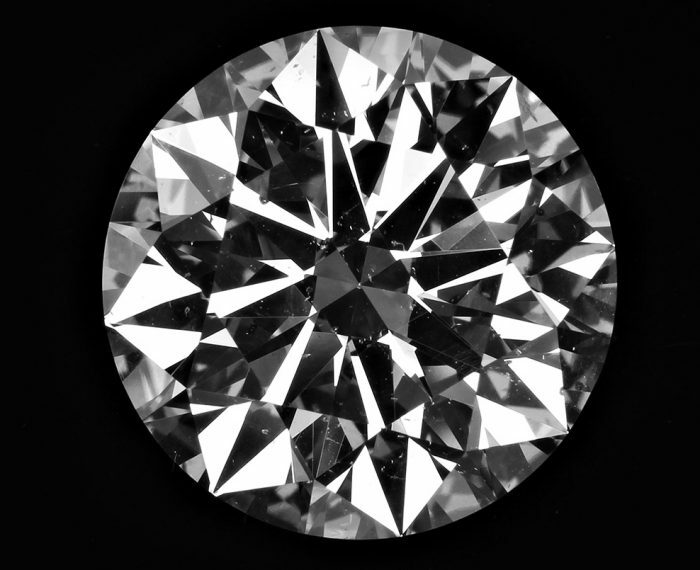 Some diamonds have unformed crystals that are clear while others have black carbon spots. When diamonds formed deep within the earth, it was a high-pressure situation. Extremes were the norm ~ clouds, cracks, lines, knots, dark spots and clouds were a natural by-product of such a bumpy ride. Just like the rest of nature, inclusions are imperfect perfection. Inclusions deserve as much respect as their absence garners. Like the proverbial snowflake or fingerprint, there are no two exactly alike. And that is amazing when you think about it. That itty bitty feather or wisp or pinpoint has not only been around longer than human beings, it’s been where no human has ever ventured. Humans may have been to the moon and into the deep blue sea — but we’ve never set foot 100 miles down into planet earth where diamonds were formed. It would be like taking a stroll on the sun — impossible. When you think about it, it’s like diamonds come from another planet – our planet for sure, but a part of Mother Earth where no man has ever ventured before. It’s pretty magical when you think of how nature created these gems deep inside the earth and then mysteriously delivered them to the surface before humans even existed. You could be wearing a diamond that was made just for you when human beings were just a glimmer in Mother Nature’s eyes.